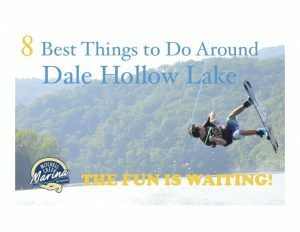 Dale Hollow Lake Harbor View Cabin 2 is located adjacent to the dock, restaurant and other resort amenities. These cozy cabins are perfect for couples or small groups looking to make the most of their budget. 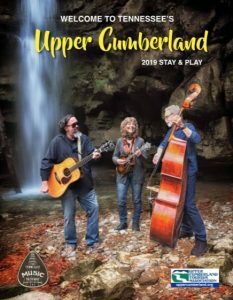 Whether you are only able to stay for a day or two – or whether you are planning week or more of vacation – the cabins on Dale Hollow Lake are a perfect place to stay.They feature Complimentary Wi-Fi, Satellite TV and a DVD Player for your relaxation. Features are: Eat-In Kitchen, Two Bathrooms,Oven/Range, Refrigerator, Silverware/Flatware, Cookware, Linens, Shower, Patio Furniture, Charcoal Grill, Two Full Beds, Daybed, Deck with Lake View and Air Conditioning. Cabin 3 is open May 1 – September 30. Whether you a are staying only a night or two or are planning a week or more of vacation, these Pet-Friendly cabins are a wonderful destination. Mitchell Creek Marina & Resort is very kid-friendly, offering activities on, around and off the water. Guests and their families may use our volleyball court and game room. View rate calendar for available dates, Minimum 7 night stay required for weekly rates.